*Starting Rate For Independent Living - Call Today For Full Pricing Information! Looking for the comforts of first-class living with the added spice of a nearby cultural hub? Look no further than Seasons, a vibrant community offering Cincinnati Independent Living, Assisted Living, Long-term Care and Skilled Nursing in Kenwood, Ohio—only a short drive from the stimulating attractions of Cincinnati. IT’S SMOOTH SAILING – CHART YOUR COURSE! Residents at Seasons are able to leave the boring, tedious chores to our caring staff, allowing them to spend more time doing what makes them happy. The sky is truly the limit, as our Executive Chef, Programming Directors and caring staff are always turning resident suggestions into reality. Enjoy our award-winning dining, live music, our fitness center and outdoor pool, social clubs, physical therapy, our beauty salon and barbershop, library, fitness classes, and much more. Seasons Senior Living Community in Cincinnati is the perfect choice for residents and families who are looking for a continuum of care community, in which residents can access Cincinnati Independent Living, Assisted Living, Long-term Care, or Skilled Nursing and Rehabilitation. A continuum of care setting offers residents and families the peace of mind of knowing that if one’s needs change—even temporarily—there is an appropriate level of care available at Seasons. Seasons is conveniently located in the heart of Kenwood, within minutes of shopping, dining and entertainment. Group outings include trips to theatres, museums and cultural events in downtown Cincinnati. At Seasons, residents can continue to do what they have always loved while trying new experiences that they’ve never had the time for. Our spacious Independent Living apartments offer studios, one-bedrooms, and two-bedroom luxury apartments. All of the apartments are equipped with a full kitchen and standard appliances, including a dishwasher. Plus, all of the apartments include their own patio, perfect for taking in the wonderful view of the 19-acre, park-like setting. Our Assisted Living residents and residents’ families receive valuable peace of mind knowing that a certified nurse is on staff 24 hours a day and a security system is in place for residents with mild dementia. Our Skilled Nursing and Rehabilitation community includes a state-of-the-art therapy gym, where residents can fulfill their personalized therapy programs. We are very proud that our community is 5-Star Medicare rated—the highest rating you can be awarded by The Centers for Medicaid & Medicare. Whether you need short-term care following a hospital stay or long-term nursing supervision due to chronic health issues or disabilities, Seasons has an excellent reputation for quality care delivered consistently to our residents. You’ll never have to pay a large sum up-front at Senior Lifestyle. We believe in our residents’ health and well being, which is why we offer the perks of country club life with a simple lease. Explore nearby cities like Loveland. Nick Carson comes to Seasons with 6 years leadership experience in Senior Living and the Health Care industry ranging from multiple skilled nursing and rehabilitation centers as the Administrator. As an enthusiastic advocate for the senior living experience, Nick has made hospitality and teamwork the core focus of the communities he leads. Nick has a bachelor’s degree in Criminal Justice from the University of Cincinnati. He is a Licensed Nursing Home Administrator through the Ohio Board of Executives of Long Term Services and Supports. Prior to becoming the Executive Director for Seasons in September 2016, Nick worked as the Administrator at Courtyard at Seasons Retirement Community, running the 83 apartment Assisted Living and 45 bed Skilled Nursing Units. Nick is a 3rd generation Administrator in the Skilled Nursing Industry with his father and grandmother leading the way for him into this career. Nick is married to Rea-jean Carson, and they have two beautiful children, Ava and Jackson. Seasons was very nice. The staff was excellent. I watched them with the other patients, and I just can’t say enough good about them. The rooms were very nice. They were just remodeling some. The grounds were excellent. They got my husband up and took him for walks and to games. Visitors can come in and order food. They were extremely nice and good. 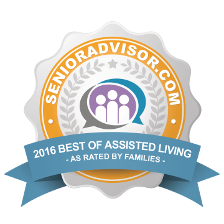 “The Seasons Retirement Community (Seasons / Courtyard) is a very nice senior living center in Kenwood, run by the Senior Lifestyle Corporation. There are three levels of living at the Seasons: Retirement Living and the Courtyard’s Assisted Living and Nursing Care. The Seasons is well decorated, they have nice dining rooms, the location is convenient for visitors, and it’s a relatively cheerful place. I had a relative who lived at the Seasons for many years and she had a good experience, and we felt comfortable with her living there. The Retirement Living is an independent style of living like an apartment with many things offered. This includes a continental breakfast and other meals served downstairs in their restaurant, there is 24-hour on-site security, weekly towel and linen services, bi-weekly housekeeping, wellness nurses on staff, transportation options, and a list/calendar of weekly social and recreational activities. Although she enjoyed many of the activities, my great grandmother wished there was more to do in the evenings. There is also a lounge with a pool table and television, a shuffleboard court outside, a salon, a library, a chapel, a heated outdoor pool, a greenhouse, and walking trails among other things. 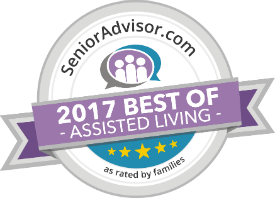 The Assisted Living offers nurses and resident assistance 24 hours a day, assistance with activities, management and/or assistance with medication, three nutritious meals per day, wellness monitoring, and housekeeping and laundry service. The Nursing Care, meanwhile, has a licensed nursing staff on hand at all times, there is a “full range” of therapeutic service, restorative and rehabilitative nursing, social service to assist with personal needs, three meals a day and snacks, medication management, and individualized activity programs. “I feel secure with The Seasons after admitting my mom here, relying on the safety and security measures they take up along with the other good amenities they provide for the well being of the people here.” – Brandy J.